Past Perspectives can tell you. 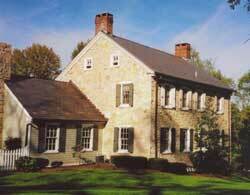 We are dedicated to helping homeowners and institutions learn more about their historic properties. We create written documents that help you preserve, interpret, and appreciate your property now, and for generations to come. "We wondered about the age and history of our home and property for many years but we had been guessing. We met Gregory Huber of Past Perspectives and decided to stop the guessing game. He did very extensive and thorough research on our home and property, filling two volumes of information. This research is interesting and useful and has expanded our appreciation of our home and property. The best comment assured us that our home is 90 to 95% original, which is delightful to know." © Copyright 2008 Past Perspectives; all rights reserved.